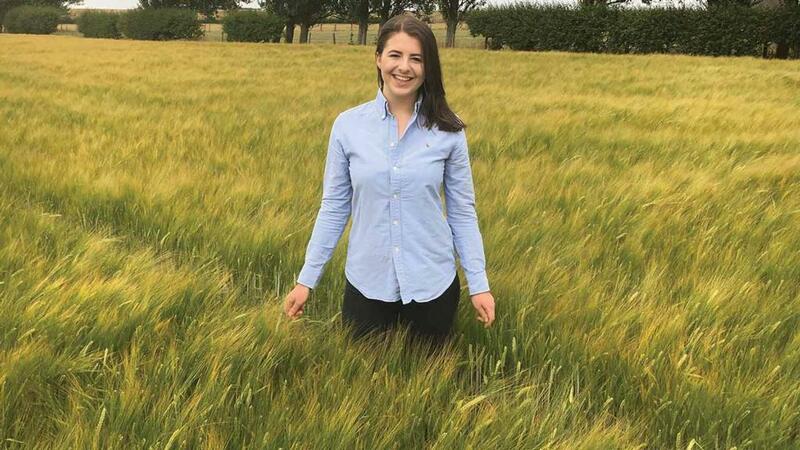 Megan Hesketh, 20, is a Harper Adams student who lives on her mixed family farm with sheep, cereals and potatoes. She is about to start a one-year placement with RSK ADAS. Knowledge transfer: Growing up on a small family farm in Lancashire, farming has always played a large part in my childhood and consequently my education so far. In a family of seven, my parents have always encouraged us to formulate our own opinions so long as we can justify them, something which has helped not only just to hold my own in a siblings debate – of which there are many – but to have a well-rounded view of politics, agriculture and most importantly an open mind to learning. I am currently studying agri-business at Harper Adams University, and appreciate more than ever the importance of knowledge transfer to improve attitude, approach and importantly productivity in the agricultural industry. Crisis of confidence can be one way to regard the fractured and uncertain government meltdown that has been witnessed in recent weeks. The meaning of Brexit and its impact on the agricultural industry is distorted to say the least but, in my opinion, the way forward for our British farmers is increasing emphasis on knowledge transfer, to give farmers the opportunity to diversify and adapt to the changing market environment: helping farmers to help themselves. Education: More students are choosing to study agriculture as a degree, with the availability of great training programmes for all ages. But from personal experience, farmers who do not like formal education or feel like they cannot leave the family farm, often ‘do what they know and how they have always done it’. In my opinion, locally-organised farming groups could be a perfect opportunity to promote distribution of knowledge in a setting that is both sociable and informal, to allow farmers to feel comfortable from sources of information they trust. Local growers and farmers would be able to share helpful tips to collaborate knowledge, the main aim being to increase productivity, cut costs and diversify. Word-of-mouth: Capturing the impact of the knowledge that passes between farmers at the pub or auction mart can be a powerful tool. By amalgamating local knowledge teamed with expert advice for best practice, organised local farming meetings can improve knowledge transfer – so that farmers young and old with no experience in other production systems, or wanting to build on existing knowledge, can explore many options when taking over the family farm and not just follow in family footsteps. So what am I suggesting? A step forward from government bodies and development boards to reach out to farmers, through a means where farmers will listen. The benefits of this can improve overall productivity, individual efficiency and the all-round mental health of farmers by giving them options for their business as well as access to more knowledge – after all, knowledge is wealth.